MAKES YOUR LIFE EASIER, GET VISIBILITY & GET MONEY BACK! Powerful Tools and National Visibility to Teams, Leagues and Tournaments. 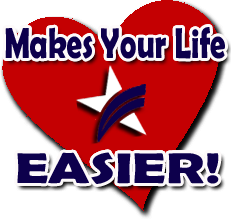 Simply said: Make Your Life Easier! Powerful Tools Streamlines the management of teams, league and tournaments. 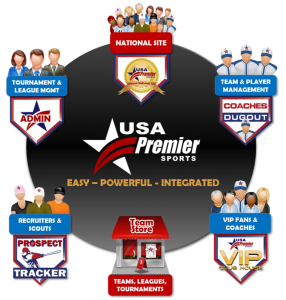 National Visibility – This is what sets USA Premier Sports apart! Goes beyond just providing the tools, by pulling together organizations and teams into our Official National Site resulting in very exciting opportunities from many different aspects. Get Money Back! – Setup a FREE Custom Team Store – Sell Uniforms, Spirit Wear, Others – Use as fundraiser with 20% sales going back to you. Easy + Powerful + Integrated = As “AUTO PILOT” as it gets! The system has been designed around sport management best practices, major tournament and league organization experience and the latest technology. This fresh approach will benefit you with an easy, powerful, integrated solution that runs across all platforms including mobile devices. Select your area of INTEREST and explore!